My name is Gracious. I hail from Patongo Town Council in Agago District, About 40 Km from Pader. 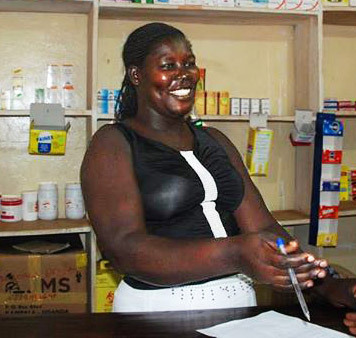 I first learnt of the free ICT training at AMREF /U-TOUCH Center at Pader in January 2012. I then applied and joined it in February and completed in April 2012, I then graduated in May. I had, prior to joining U-TOUCH, unsuccessfully looked for a job but now when I got back home after the training, I asked my father to help me with some capital to start a business of my own. Convinced by my newly attained computer skill backed by a beautifully designed certificate of completion, he gave me funds to start a secretarial and stationery business. Patongo had been lacking a quality and reliable computer services. Some people have the resources but lack the skill to operate computers. As a result many businesses had in the past opened and closed barely after 4 months of operations. I felt that, I could fill that gap. I then travelled to Kampala and purchased a used photocopier, a computer, a binder and an assortment of stationery and opened the business called Good Hope Stationery in May 2012, a few weeks after my graduation. The choice of name is self explanatory. U-TOUCH is a dawn of Hope in my life. Services offered include Typesetting, printing, photocopying, binding, scanning, sale of stationery and computer training on Office 2007 applications. My clientele range from Schools, NGO’s, Churches, all the neighboring sub counties to individuals. • My skill has not only been retained but also enhanced. • I am self employed, the work keeps me busy and I am not even interested in looking for other jobs. • I now have enough resources to cater for my basic needs like cloths, housing, education, and Health. • I have trained 3 people in basic computer applications. • High cost of maintenance for computer. Patongo lacks skilled people to repair and maintain computers. 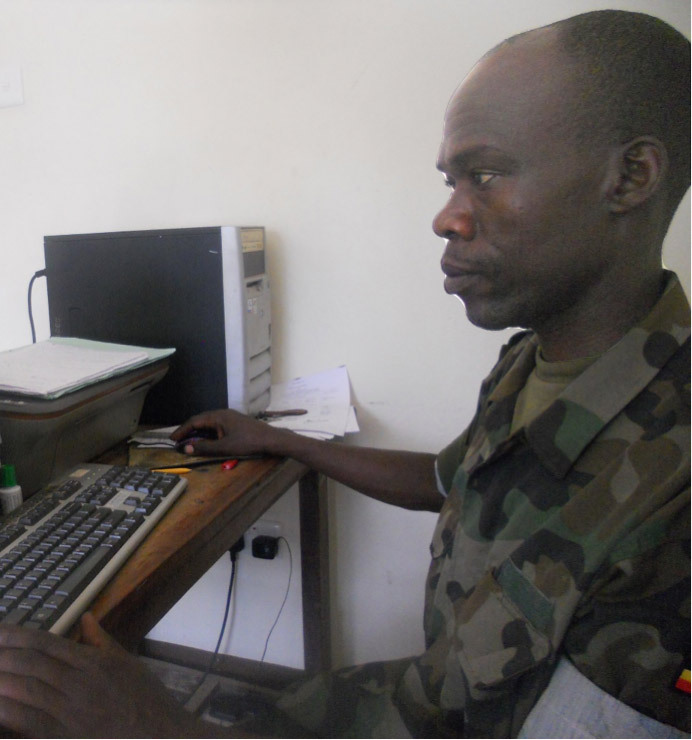 The ICT Trainer Pader has promised to provide support in terms of maintenance of equipment. • The weather is very harsh and not conducive for the computers. There is a lot of heat and dust in Patongo and this also affects the sensitive parts of these machines. • Some customers bring jobs but they don’t come back to pay and pick them. This leads to wastage of time and resources. • I still don’t have a standby generator incase of load shedding. • I intend to add more computers, provide internet and training services to many people in Patongo. • I intend to upgrade my studies starting August this year. I want to study accounts from Nsamizi School of Social Works and Social Administration, so that I run my business professionally. I want to thank AMREF and U-TOUCH for the free training rendered to us in ICT and enrichment programs like entrepreneurship, life skills and job skills. I had not realized their value then, but now I have realized that the best life decision I have ever made in my life was to join U-TOUCH. My life has been totally transformed, I am self-reliant now. I strongly encourage other people, especially girls, to join the training at AMREF/U-TOUCH Center, Pader. “Opportunity only knocks once, embrace it. Barbara used her U-TOUCH training well. 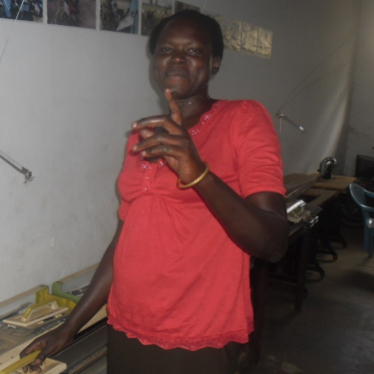 Last year Barbara told us about coming to the U-TOUCH Digital Library Center in Pader with hope and a plan. 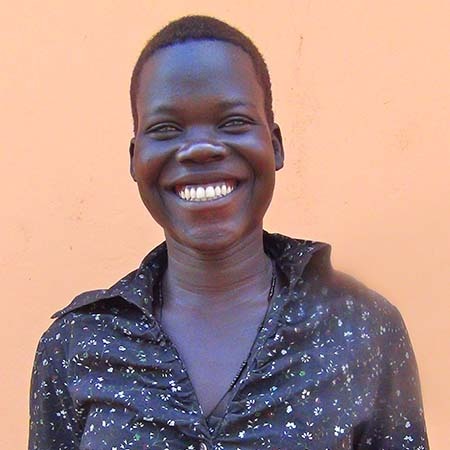 While awaiting the results of her college entrance exam she wanted to “learn computers.” She committed herself to the 12-week curriculum, learning ICT (Information Communication Technology) and taking advantage of the other enrichment programs – Life Skills, Job Skills, Entrepreneurship – with hopes to use all if it to continue her education. 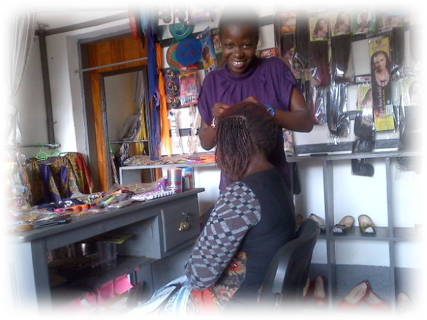 Little more than a year later, Barbara is a first-year student in Business Administration at Uganda Christian University, Mukono; and she is interning with the Accounts section of the Pader District Local Government. For both of these opportunities, Barbara needed and used the computer literacy skills she acquired through U-TOUCH. Uganda Christian University has a well-equipped computer laboratory with Internet connections. Most of the lecturers send notes to their students via e-mail and expect research and coursework to be completed and submitted via computer. Her skills have also enabled her to stay connected with her sisters and friends at other universities and at the U-TOUCH Center back home. During her long holiday break, Barbara wanted to keep busy and use her skills. 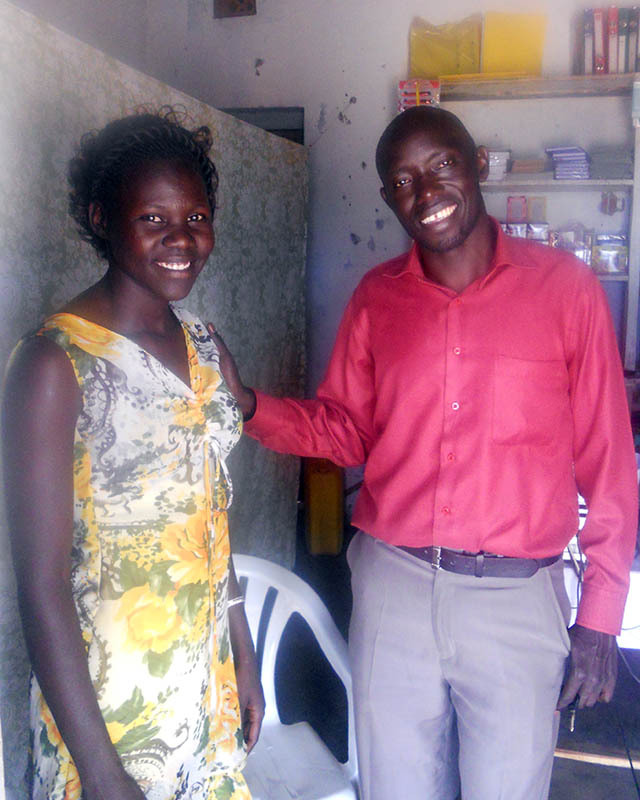 Her father helped her by making inquiries at the Pader District Local Government. Her volunteer position there is giving her invaluable work experience as she uses MS Excel and other specialized Microsoft accounting software to enter data, balance the books and provide analysis. 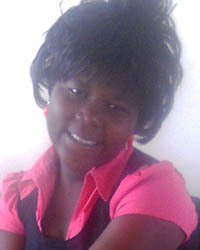 Aciro Beatrice is my name and surely am happy with the positive impact that U-TOUCH has made in my life. Surely due to life and health education I have got I can manage my life well to live a positive life style and avoid some risks that might come due to poor life style that a person can live. I was working when I came to U-TOUCH center as a sales agent in our organization call Bay Port, a financial loan organization. But due to the training I got from U-TOUCH I have been promoted to Customer Care officer which makes me more happy than I was before. The VSLA training I got has made my work very easy because people who come for loan I know how to work with them. Microsoft Excel has made my report writing and calculation very easy. I don’t struggle with my work at all. The best thing a person can do is to seek the opportunity of helping some body in this world. I’m happy for what U-TOUCH is doing in our community because it’s causing huge changes among the female gender. I did not expect to have this global connection as I do now –it’s amazing, I love it. I am Kinyera TF Macmillan, a male Acholi of 24 years old, a student at U-Touch Digital Library Center Pader with a magnificient interest in information and communication technology, software development and passionate heart for communal service. I am a resident of Ajanyi Village, Aringa Parish, Puranga Sub-County, Pader District in Northern Uganda. Before joining the U-Touch DLC Pader in May 2012, I was serving the community of Pader Central High School as a student teacher for English Language, General Paper & Geography as well as a Patron for Club & Society after completing Senior Six in the year 2011. When I joined the U-Touch Center I expected to learn computer theoretical background, be knowledeable to connect & use computers,Microsoft Windows, Microsoft Word processing, Internet E-mail & online communication, Microsoft Excel, Microsoft power point presentation, jobs & life skills, health management skills, and research techniques. With the computer knowledge acquired I intend with passion to help those who did not get access to the DLC acquire similar skills andknowledge freely, open computer library and mentor people with similar objectives & interests like mine when fortune smiles, become video & film producer on peace conferencing, join mass media for communal benefit, carry intensive research on health to keep my community disease free, alert communities on jobs, life & business enrichment skills to lift them out of a depression. The first time I attended programs at the U-TOUCH Center, Pader, Uganda, was January, 2012, with basically orientation and induction to U-TOUCH Center. Before joining the center, I was home for my vacation while waiting for my Form Six (college entrance exam) results. My plan was to learn computer but because of financial issues I was unable; so I just remained home helping with house work. Actually, after the training, I feel my plans have been achieved and my situation has really changed. I have made new friends and I have also learned new skills, like typing, using MS Word, calculation skills using MS Excel, communication and research skills using Internet, presentation skills using MS PowerPoint and also enrichment programs like Life skills, Entrepreneurial skills and Job skills among others. What I have learned and I feel will really benefit me in the future are Job skills, Life skills, Entrepreneurial skills and also the Calculations using MS Excel. Looking ahead, my life will really change because of the ICT (Information Communication Technology) knowledge that I have acquired from U-TOUCH. In a year from now, I see myself as a student in the University pursuing a Bachelors Degree in Accounting and Finance or Bachelor of Business Administration. And in 5 years time, I see myself as a professional international Accountant. For those who are still computer illiterate, I appeal to you to come and join any U-TOUCH Center because this training is free of charge; you just have to dedicate your time and that’s all. I would like to extend my sincere gratitude to U-TOUCH and its sponsors for the free ICT training that it has offered to us. I am really so grateful because you have changed me and I can now face the world. I joined U-touch on the 4th of January, 2012.I was a student in Lira Palwo senior secondary school and I was planning for further studies. Actually this training at U-TOUCH center made me change because I made new friends, learned new skills as a result of attending the U-TOUCH center programs. So far we have learned the most common packages in computer (computing) which includes Microsoft words, Microsoft excel, Microsoft PowerPoint, internet and communication etc were by this can make me hold any place in computer center. I can apply the knowledge I have got in some offices and also be called to connect public address system in some places such as churches, schools and many others functions that may be addressed. Looking ahead, my life will change between now to five years. I intend to open my own computer secretarial center in one year using the skills I have got from this training and in five years to come, I intend to be as a trainer in information and communication technology. My name is Achiro Stella Patience, I live in Lulojo village and am 20 years old. I started attending the U-TOUCH center on the 18th of January 2012. I was a student and my plan was to work hard and achieve my goal in computing. After receiving the training, my plans and situations has changed a lot. I didn’t get a job but I have improved on my research, made new friends and learnt new skills on results on attending the U-TOUCH Center. I have learnt on how to do research and making friends using a computer. My life in 1 year will change alot due to the computer knowledge and in 5 years time I would have got a job in computing to change my lifestyle. I would like to appreciate the U-TOUCH center for the training offered for us.